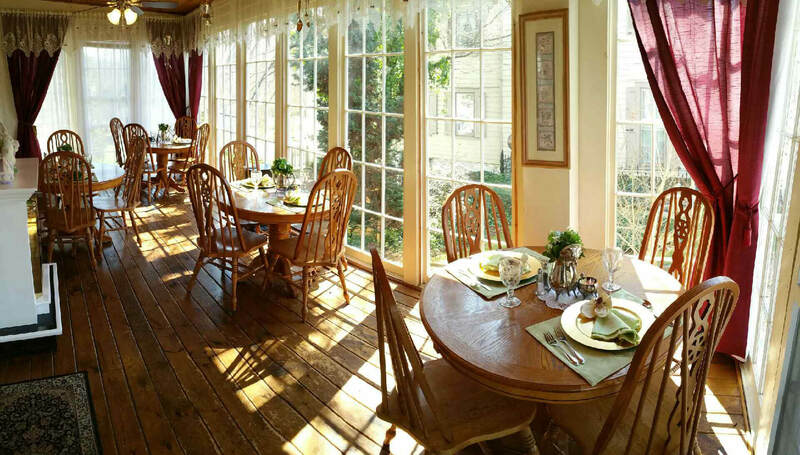 The Blue Max Inn Bed & Breakfast provides a luxurious atmosphere that is both comfortable and cozy. 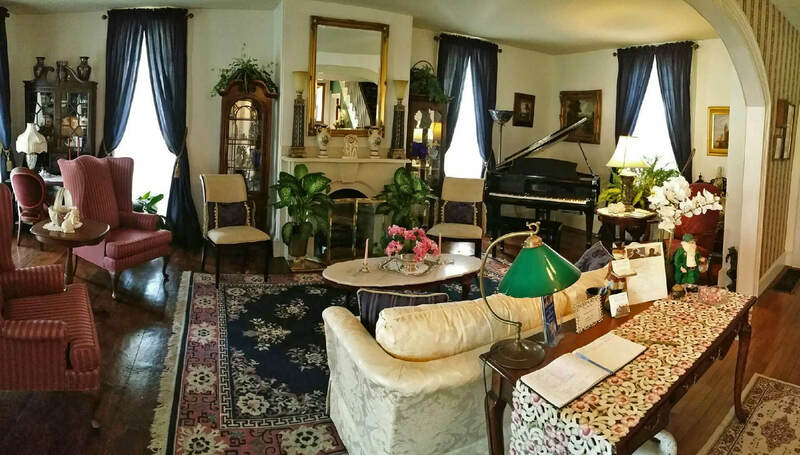 Working fireplaces, a beautiful dining room and a relaxing parlor with a grand player piano are just a few of the features of this elegant inn. Honeymoon Suite All of our guest rooms and suites are custom designed to pamper you with romantically appointed, extravagant, king or queen size beds, luxurious linens and upscale amenities, and include private baths with tub toys, telephones with data ports, air conditioning and cable TV. Several of our rooms open onto second floor verandas. Select the Guest Room link on the left to view the rooms and learn more about them. Handicap accessible facilities are available as well as ample private parking. If you come by boat, there is a public anchorage within easy walking distance. If you bring a boat, you can park it in our off street parking area and launch it at the nearby free public ramp. 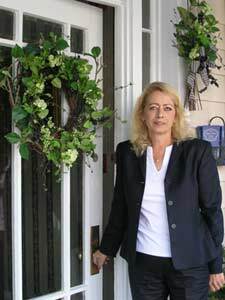 Christine, the new owner/operator of the Blue Max Inn grew up near here in New London, PA. Having spent 10 years living in Newark, DE and commuting to Chesapeake City to her job as a banquet manager, she acquired the Blue Max Inn to fulfill a lifetime dream of owning her own B&B. "Clients frequently asked me about local accommodations and the Blue Max was always at the top of my list. When the Blue Max became available, I knew that this was the place for me! 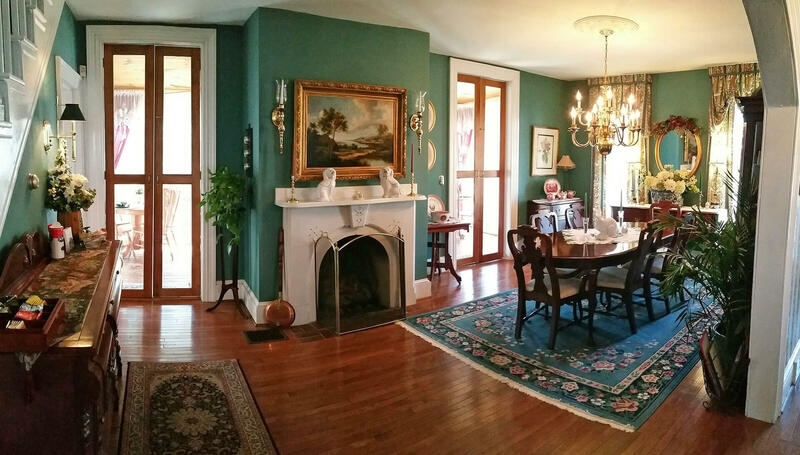 "The Blue Max is truly a beautiful Bed & Breakfast. I love to travel and have had the opportunity to do quite a bit of traveling throughout the United States and Europe. I have stayed at a lot of B&B's and the Blue Max Inn is really is a very special place. Your visit starts when you go over the Chesapeake City bridge and look down at this very inviting European looking town. You know at once that you're going to experience something wonderful. And something wonderful is just what The Blue Max has to offer. "I would love to meet you so come and stay at the Blue Max. I can assure you that you will enjoy the hospitality."